Lawn care is not as simple as a four-step program. That's because one person's lawn is not the same as the next. Soil conditions, weather, geographical location, orientation to the sun, budget, usage, previous history are some of the factors that can alter a lawn care program. One lawn should never be treated the same as the next. But in the spirit of other lawn care programs, here is a four-step lawn care program. Just remember that lawn care is a little more involved than four steps! Providing adequate moisture is a crucial component to a healthy lawn. But, time and time again, overwatering is more of a problem than not having enough water. 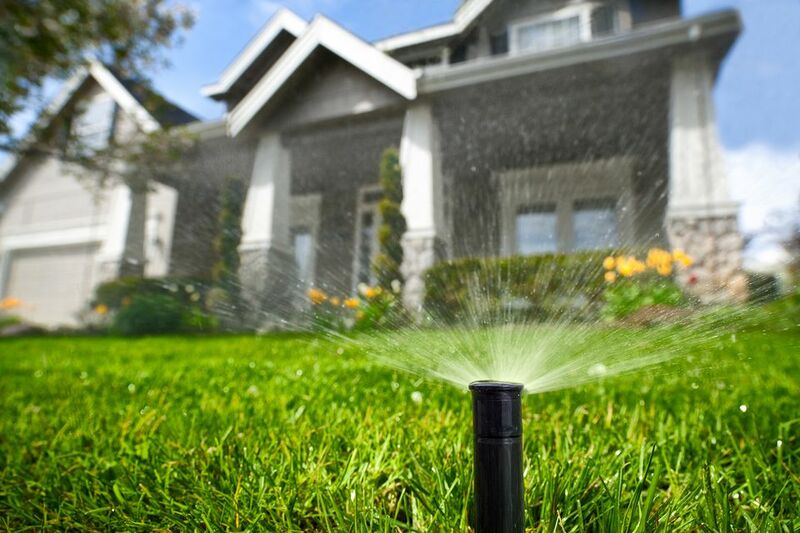 Sprinkler systems should only be used to provide supplemental water, not as the primary source of water for the lawn. A healthy lawn that is planted with the appropriate grass species and is then adequately maintained will need far less water than commonly thought. In the northeast, most often don't water any turf until June, and even then it is rare. The trick is to build the strongest, deepest root zone possible so that grass can withstand periods of drought. This is done by only turning the water on when it is necessary. Timing is critical when it comes to fertilizing the lawn. The lawn should be allowed to "wake up" on it's own a little before you go out and add fertilizer first thing in the spring. Similarly, the grass should be allowed to harden off on its own in the winter. Adding the fertilizer in the fall could result in excessive top growth while the focus should be on root zone development. As important as timing is the fertilizer type; whether it's an organic fertilizer, derived from bone meal and fish emulsion, or a water-soluble synthetic fertilizer designed to release slowly over the course of several weeks. Fertilizers higher in nitrogen are used at the outset of the growing season to encourage top growth. Fertilizer with less nitrogen and a little more potassium are best for the fall to build the root system of the lawn. A renewed root zone allows for a strong spring startup, and the whole process is repeated. Choosing the appropriate grass for your lawn is important to the entire lawn care program. The standard Kentucky bluegrass lawn has a beautiful color, is dense, and lush but it requires more inputs than fescues. That's especially true with newer cultivars bred for drought tolerance and disease resistance. A Kentucky bluegrass lawn requires more water, fertilizer, and mowing than other lawns, while new varieties of turf-type tall fescues prove to be excellent low maintenance alternatives. Also, be sure to plant the appropriate species for your geographic location, climate, and take the position to sun and shade into account. Weeds and pests can be a re-occurring problem. When a lawn is stressed out and isn't maintained well, weeds and pests, which are opportunists, will invade the bare, or thinning turf of lawns with poor soil conditions. Through a basic Integrated Pest Management (IPM) program, use the presence of weeds and pests as a signal that your lawn might have a deeper problem. Was your soil tested to ensure proper pH and adequate nutrient levels? Improve the condition of the soil, and many weed and pest problems will disappear.